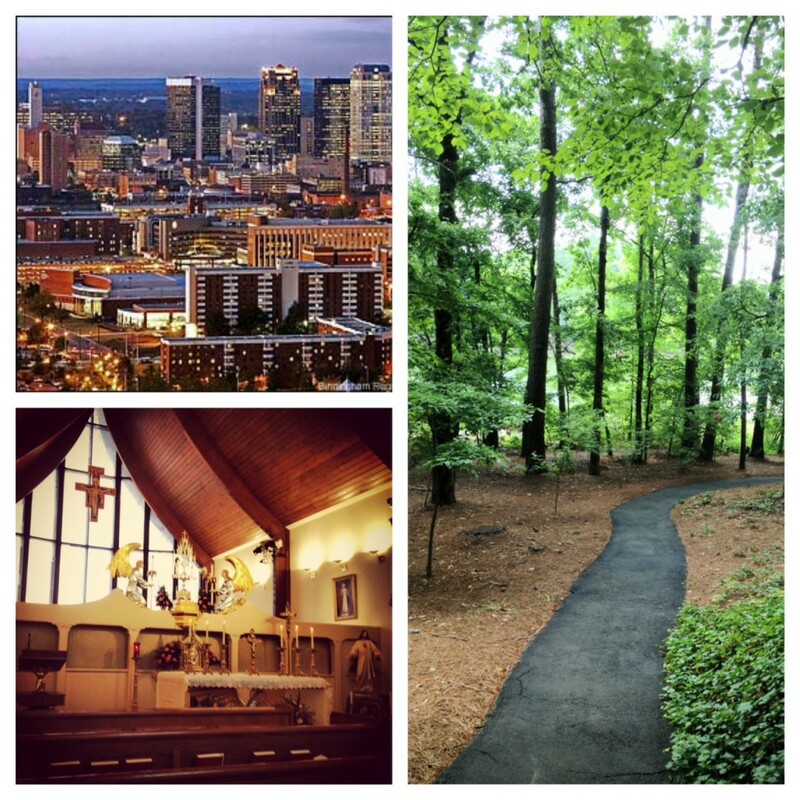 This week, I had the distinct privilege of spending a few days in Birmingham, Alabama. At the moment, the real reason for my “mission” to “the Magic City” remains under wraps. This was not really a touristic trip, but rather a work trip. But I thought it would be great to share a few highlights of the journey in another video. I hope to get back to Birmingham soon for a full exploration! Birmingham is the largest city in the state of Alabama with a population currently estimated at 242,820, and a metro population of 1,079,089. St. Paul the Apostle (3-65) is the Patron Saint of the Diocese of Birmingham. Birmingham was a center of the Civil Rights movement. The Birmingham Civil Rights Institute, adjacent to the 16th Street Baptist Church, paints a vivid portrait of the city’s place in history. The television studios of EWTN — the Eternal Word Television Network — are located in Irondale, Alabama, a short drive from Birmingham. Plan to make a visit to the small EWTN chapel, to enjoy the studio tour, and perhaps to even take in a live taping. The studio grounds also has a lovely gift and book shop. If you have more time, consider a day trip to Our Lady of the Angels Monastery. A walking tour of Birmingham’s historic downtown offers sightseeing, religious houses of worship, cultural opportunities and shopping. If you’re looking to shop, dine or simply want a lovely view of the city, check out The Summit.